ONE IN THE BOOKS; THREE MORE TO GO! Quarter Horse racing in Louisiana is off to a fantastic start in 2019. The first of the four live meets has wrapped and horsemen are preparing for Delta Downs, which is the second stop on the circuit. Harrah’s Louisiana Downs concluded their 2019 Quarter Horse meet on Wednesday, March 20 on several positive notes. Officials reported increases in both on-track and simulcast handle for the 46-day season. Plus, there were some incredible performances in the Mardi Gras Futurity, Mardi Gras Derby and Harrah’s Entertainment Futurity. Everardo Rodriguez won the leading rider title; Lanny Keith repeated as top trainer and Jose O. Barron won 12 races to win owner of the meet honors. Despite the usual rainy days, the majority of the horsemen were pleased to get some valuable experience for their 2-year-old prospects. It’s safe to say that both the winners of the Mardi Gras and Harrah’s Entertainment Futurities are well on their way to make a significant impact in 2019. Two Louisiana-based stallions, Apollitical Blood and Heza Fast Rogue have shown prowess with their first crops, and Freighttrain B sired multiple qualifiers at Louisiana Downs. Trump My Record won the $254,070 Harrah’s Entertainment Futurity (G3) and is headed to Remington Park to compete in trials for the $1 million Heritage Place Futurity. LQHBA sale graduate Hf Gailforce won the first “official” futurity of the year and the $305,296 Mardi Gras Futurity champion is paid into the Lassie and Lee Berwick Futurities at Delta Downs as well as the LQHBA Louisiana Million at Evangeline Downs. The 2019 Delta Downs racing season gets underway on April 19. Live programs will run Wednesday through Saturday night beginning at 6:15 pm. It is always a popular and highly competitive meet with rich stakes opportunities for accredited Louisiana-breds. Some highlights include trials for the Laddie and Lassie Futurities on Friday, April 26 and 27. The fastest qualifiers will return on May 17 and 18. The season concludes with a stakes-filled evening on July 6, highlighted by the richest stakes of the meet, the Lee Berwick Futurity (RG1). Last year’s Lee Berwick Futurity winner was Eysa Jess Jumpn, a filly by Heza Fast Dash, purchased for just $11,000 at the 2017 LQHBA Yearling Sale. Owned by Jose Estrada Quarter Horses and trained by Josue Huitron, she will be honored as LQHBA Champion 2-year-old filly at the annual LQHBA Membership Meeting & Awards Banquet. Kenneth Roberts, Sr., who has won eight leading trainer titles at Delta Downs, returns to square off against fellow horsemen including Josue Huitron, Heath Taylor, Lanny Keith, Trey Ellis, Orlando Orozco, Joe Davis, Kenneth Weeks, Martin Trejo, and Arturo Davila, III. Roberts acknowledges the importance of owners to the success of his racing operation. The Delta Downs jockey colony is always filled with talent, ranging from veterans John Hamilton, Gilbert Ortiz, Patrick Watson and David Alvarez to the rising stars, which include 2018 LQHBA Co-Champion jockeys Everardo Rodriguez and Luis Vivanco, Guadalupe Lucio, Jr., Eddie Sanchez, Antonio Alberto and Luciano Duenez. A very memorable evening is coming up on Saturday, April 13 when LQHBA will host their annual Membership Meeting & Awards Banquet at Evangeline Downs in Opelousas, Louisiana. Champion horses and the leading breeder, owner, trainer and jockey of 2018 will be honored and the fourth class of the LQHBA Hall of Fame will be feted. 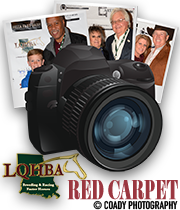 Louisiana Quarter Horse breeder and owner, J. E. Jumonville, Jr. and noted racehorse and stallion Mr Jess Perry are the two inductees into the LQHBA Hall of Fame. 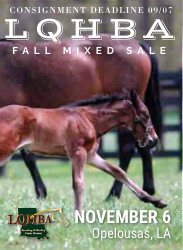 The LQHBA Yearling Sale, will once again, be conducted over a three-day period in Kinder, Louisiana from August 1-3. The annual sale will showcase over 500 Louisiana-bred aspiring race horses that can be purchased for a minimal investment and make their breeders, owners, jockeys and trainer very proud. The 2019 Fair Grounds Quarter Horse meet begins on August 17 with the LQHBA Sale Futurity on September 8, highlighting the racing season in New Orleans. The final stop on the Louisiana circuit is Evangeline Downs in Opelousas, with a 46-day meet filled with stakes races, culminating with the running of the LQHBA Louisiana Million. The seven-figure futurity always gives its connections a very rewarding early Christmas gift! Three months down, with many more exciting highlights to come. We look forward to promoting each meet, special events and the wonderful members of the Louisiana Quarter Horse industry! 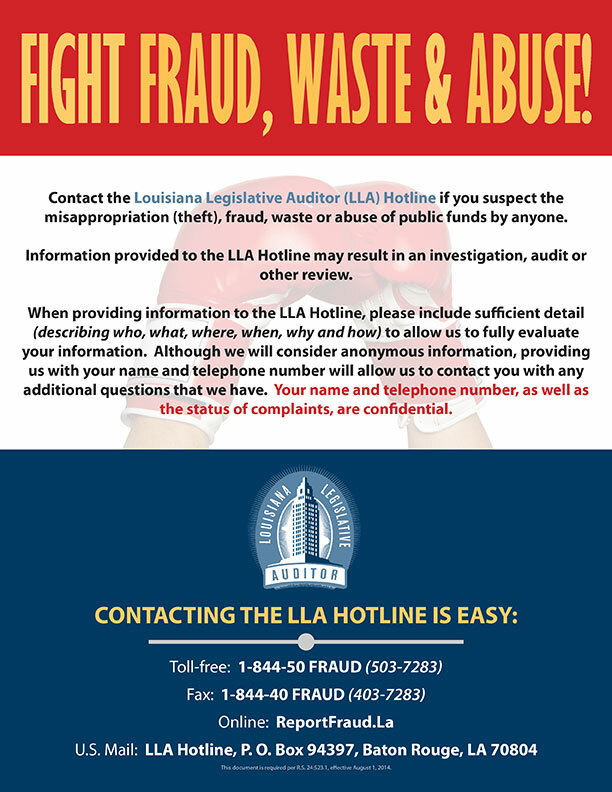 The LQHBA Insider is a monthly feature written by Martha Claussen for www.lqhba.com. She served as publicity director at Sam Houston Race Park for ten years. She continues to be active in writing, fan education and Quarter Horse racing publicity in Texas, Louisiana and other regions in North America. THE WINS KEEP COMING FOR KENNETH ROBERTS, SR.
HALFWAY MARK OF THE YEAR AND MUCH MORE TO COME! LQHBA SCHOLARSHIP PROGRAM: SERVING YOUTH IS A WINNER!